On Friday the 22nd of April the children who will receive their First Holy Communion this year will had first Confession. This took place in the parish church at 5.30 p.m. The parents and family members of the children were present. On Sunday the 24th of April, at 9.00 a.m. Archpriest Rev. Reuben Micallef blessed the pets which were gathered in the parish square. This was part of the activities that celebrated ‘Jum iz-Zebbug’. On Thursday the 28th of April, the parish celebrated its 328th anniversary. The main Mass was at 6.00 p.m. Archpriest Can. Reuben Micallef celebrated the Mass and preached about the importance of a sense of belonging. Some members of the local council were present. On Saturday the 30th of April the hike for young people took place. Those who took part walked from San Blas Bay to Ramla Bay. The Archpriest accompanied the young people. The first Wednesday in preparation for the titular feast of the Assumption was on the 4th of Mary. Archpriest Rev. Reuben Micallef presided the Mass. The pilgrimage to Lourdes will be led by Rev. Can. Noel Saliba and is taking place between the 11th and the 16th of July. Those who are interested should contact Fr. Saliba. 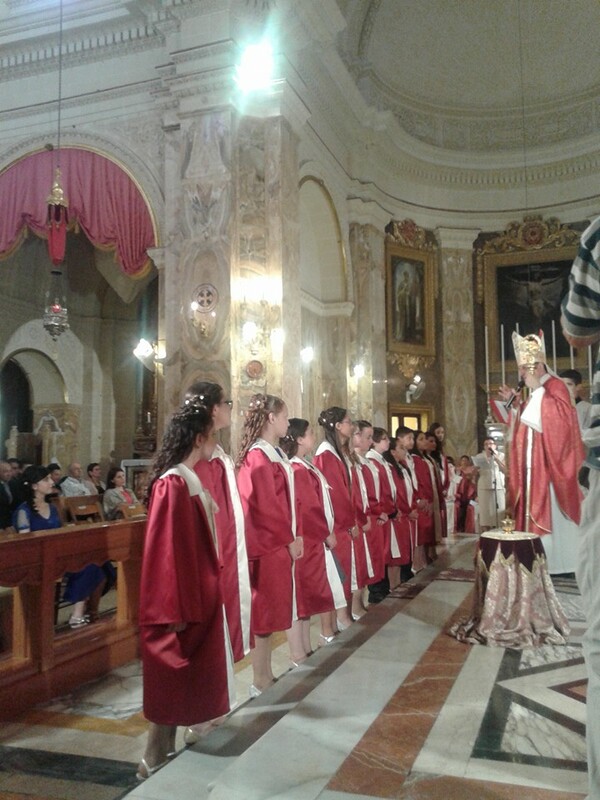 On Friday the 20th of May at 6.00 p.m. at the Gozo Cathedral, Deacon Joseph Attard of Zebbug was ordained priest. 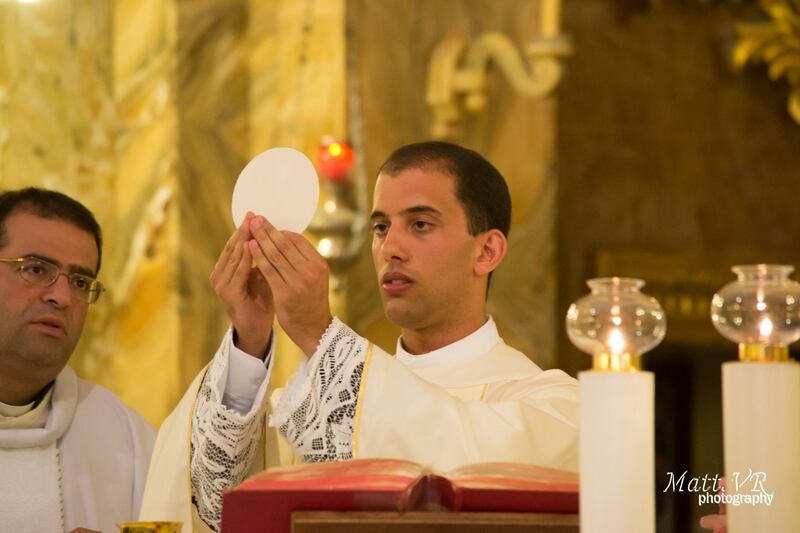 He is the first priest to be ordained from Zebbug since Rev. Frankie Mallia who was ordained in 1998. Fr. 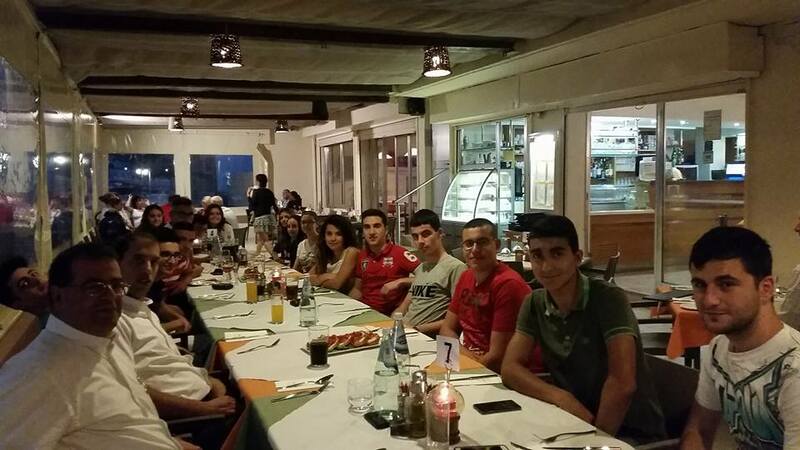 Attard will leave our island in September to further his studies in the eternal city. Fr. 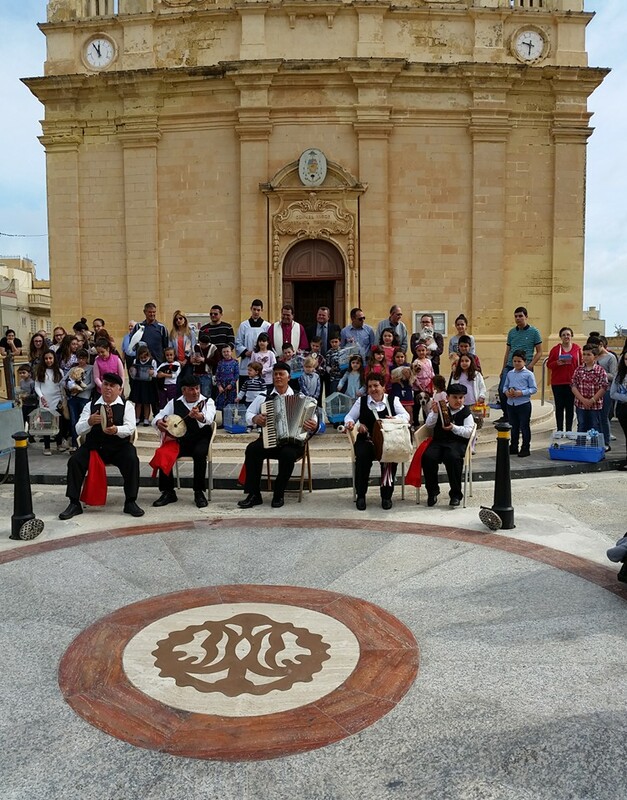 Joseph Attard celebrated the First Mass on Saturday the 21st of May. The choir animated the Mass and Fr. Attard preached. After the Mass, there were refreshments for everybody. The Choir Regina Angelorum took part in the ‘Festival Marjan’ at the Oratory Don Bosco. On Wednesday the 25th of May at 7.00 p.m. Can. Noel Saliba, spiritual director of St Mary’s Band, presided over the Mass. Members of the Band Club read the Readings and the Bidding Prayers. On Monday the 30th of May at 6.00 p.m. all the children who attend catechism lessons at the MUSEUM took part in a procession that left the MUSEUM premises to the church carrying a statue of the Blessed Virgin. A Marian celebration took place and the Rosary was recited. A meeting for the parents and godparents of those adolescents who were confirmed was organized at the parish centre on the 10th of June at 6.00 p.m. the Archpriest led the meeting. 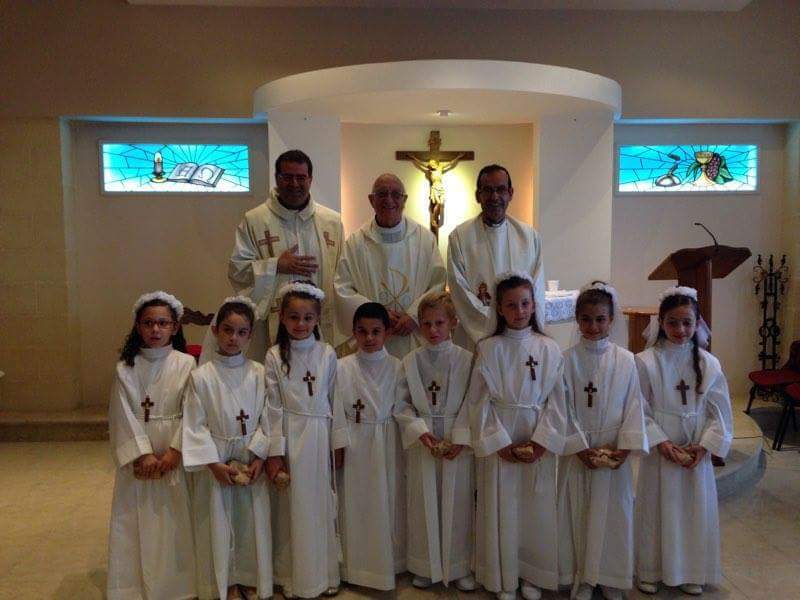 The retreat for the children who were preparing for their first Holy Communion took place on Saturday the 28th of June. Then, on Sunday the 29th, Solemnity of Corpus Christi, the Mass for the First Holy Communicants took place at 4.00 p.m. succeeded by the Procession with the Blessed Sacrament. On Friday the 3rd of June, the Church celebrated the Solemnity of the Sacred Heart of Jesus. Mass was at 7.00 p.m. with the participation of the Regina Angelorum Choir. The devotional procession took place after Mass. The Handverker Sangforening from Oslo, Norway, visited the parish church and presented choral concert in church after the evening Mass. Many parishioners were present. The Mass for those who were confirmed took place on Friday the 1st of July at 6.00 p.m. The Choir animated the Mass. 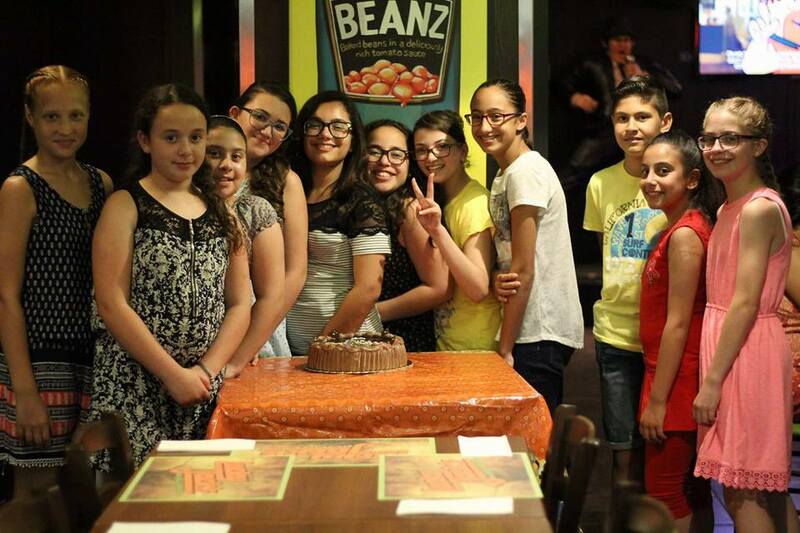 On the 11th July a party was organised for them by the parish.